Picture the possibilities. 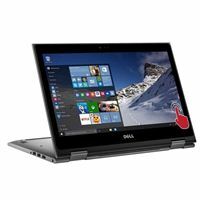 The Inspiron 13 5379 2-in-1 laptop computer in a sleek and portable design, with stunning sound and features like a backlit keyboard and infrared camera for facial recognition. 15.10" x 3.10" x 13.60"